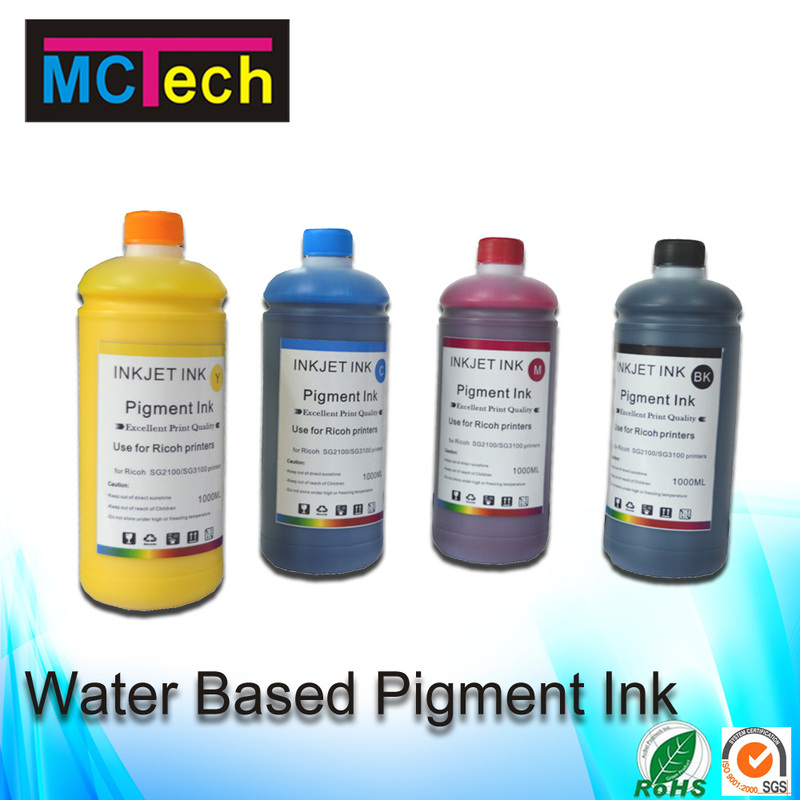 The diameter of pigment particles include in the UV ink less than 1 micron, free from volatile organic solvents, low viscosity, no irritating odor, no clogging, Bright and glossy color high saturation, strong stereoscopic, excellent color expressive performance, fluent printing, fast-drying, high hardness of the ink layers after the solidification, good adhesion, high scratch resistance, solvent resistance, high gloss, lighfast level reached 7-8,it is the highest cost performance of a product in the market currently, can match all the UV flat-panel printers with different models of printheads using in the market at present. 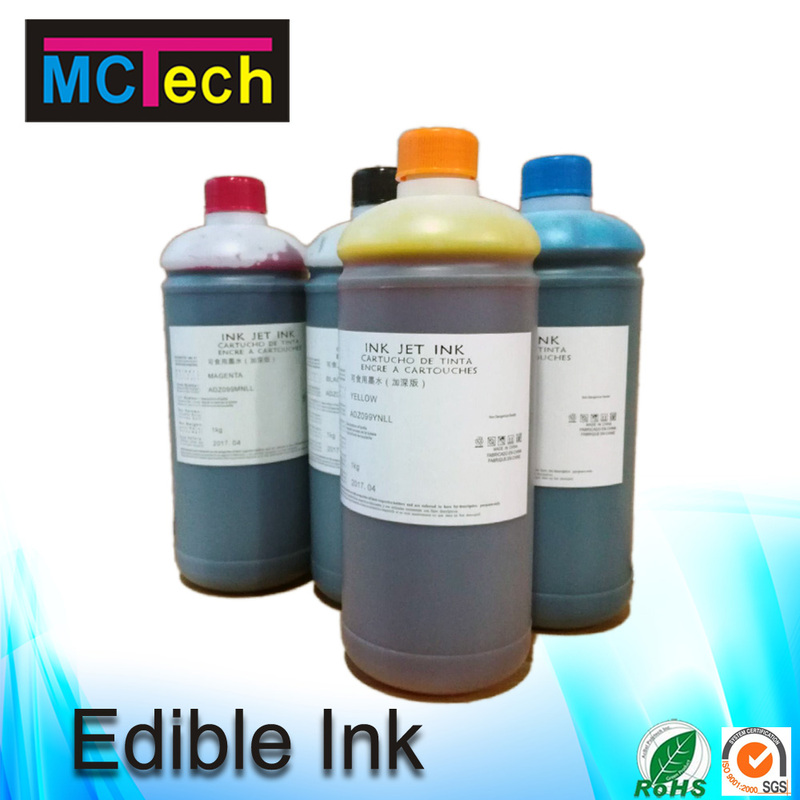 Used For Printer Head:For Epson DX4/DX5/DX7, V540/TX800/XP600 etc. Industrial Head: Konica 512/1024, Seiko 1020, Star fire 1024, Spectra Galaxy, Ricoh Gen5. 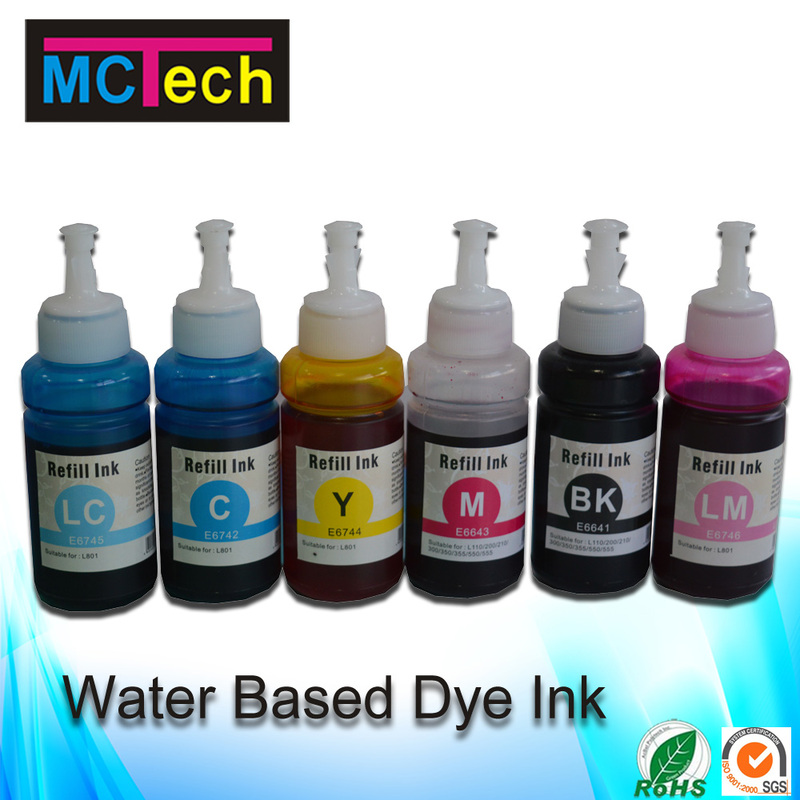 Warranty Time: 24 Months under temperature of 5~25℃ and out of direct sunlight. 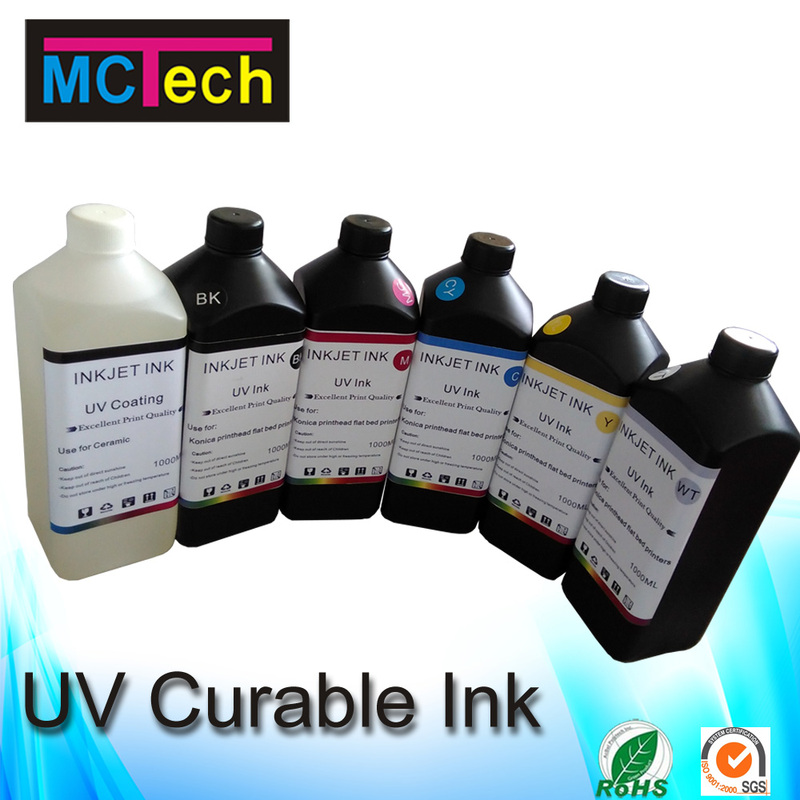 6.Exclusive UV curable ink for PVC made door/curved products, good alcohol staining resistance. 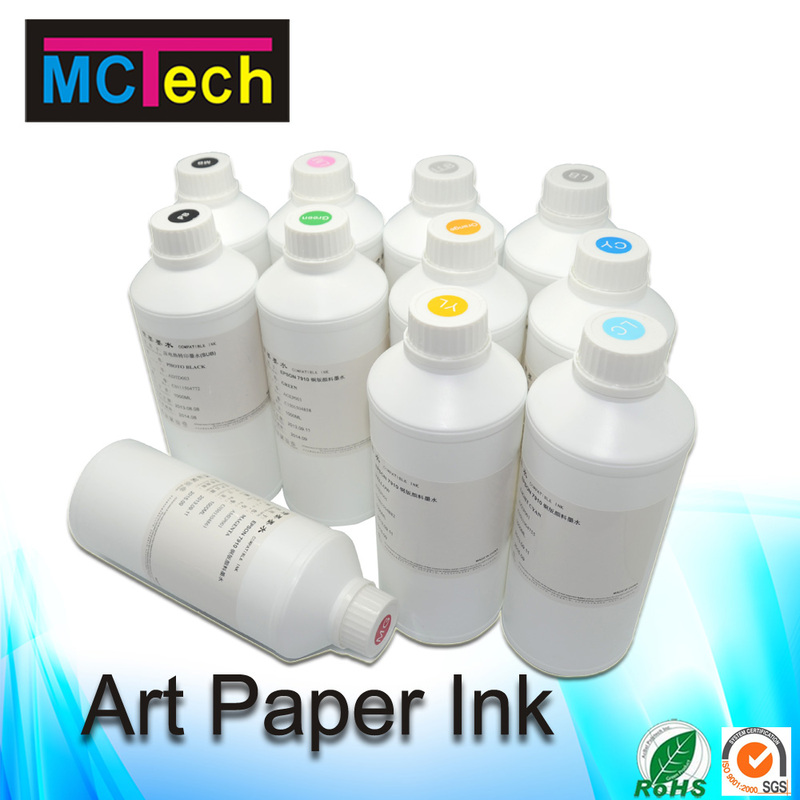 Leather, Wood, Crystal, PVC, Acrylic,ABS,Plastic, Stone, Rubber,CD,Sticky notes,Lamp-box facric,Glass, Ceramics, Metal, Photo Papers,More suitable for water transfer printing technology which transfer the true color images in a variety of different medial.